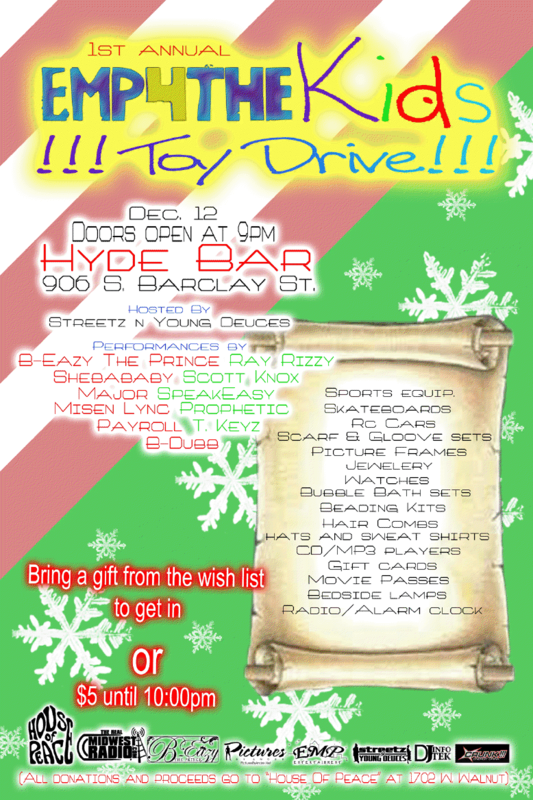 The 1st Annual EMP4TheKids Toy Drive hosted by @StreetzEMP -n- @Young_Deuces The Real Midwest Radio | 24 Hrs Of Non-Stop Midwest Hip-Hop! Streetz -n- Young Deuces is out to help out the city of Milwaukee with a Toy Drive for unfortunate kids who wish to have a better Christmas. With the goal of obtaining 150 Toys they work with www.TheHouseOfPeace.org to bring that very wish to them. If you’re in the Milwaukee Area please consider contributing to the cause.